It is time to change how governments build digital public services. Build the best digital services that are Interoperable, Accessible, Multilingual, Mobile, Secure, and tailored for your chosen citizen and staff experience. Everything is built on standards. BPMN + DMN + Forms == Automating Bureaucracy! 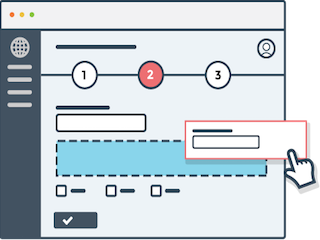 Primarily used by the Services microservice, the Formio (Forms) microservice is an internal network microservice that is used as a Forms builder and server validation system. All forms are built and stored in this service, and all service submissions are validated by this microservice. Build, manage, and monitor simple and complex business processes: the central orchestrator of business logic, bureaucracy, and data through the DigitalState microservices. Workflow is powered by Camunda BPM using BPMN, DMN, and CMMN. User registration, password reset, user management, and JWT issuing. Designed to be swappable with any other JWT issuing platform that may exist on-premise or in the cloud. The primary microservice that manages all user data related to identity, permissions, preferences. Manages: Individuals, Organizations, Anonymous Contacts, Staff, and Business Units. Human task management backed by Camunda BPM. Provides mapping and security layer for task management for all Identities. Enterprise Feature. Subscription management to Topics. Enables subscription management for all identities and which channels, frequency, language preference and other notification options. The "CRM" of the platform without the sales oriented design. 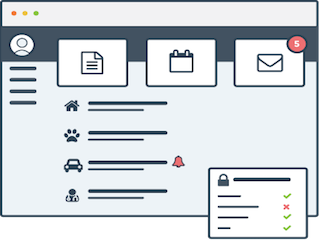 Flexible, and lightweight: Channel Tracking, Communications (Bulk Message Generation), Bulletins, Scheduled message sending, Multi-Channel Message sending, Secure MyAccount Inbox/Messages. Define and manage government issued documents and related objects to Identities; all easily managed and orchestrated by workflow; Library cards, licenses, permits, property ownership, vehicle ownership, animals, etc. Assets are used to track "things" issued, related, and owned by Identities, and can be used to provide further access to other systems and services. Flexible and lightweight case system. (aka Ticket Management). Designed to be extremely lightweight and applicable to every case scenario. Implements Case Metadata, Status Updates, Case State and Status, Custom IDs, Case Sharing, Anonymous Case Lookup, and Identity Ownership. Government Records Management. Lightweight and flexible; a "Record" is defined by the business. Use records to store related documents to a case, snapshot of a Service Submission, or any snapshot in time that must be recorded as a official or transitory record. Supports attachments, and the ability to store records in multiple data-stores such as enterprise content management/records management systems. 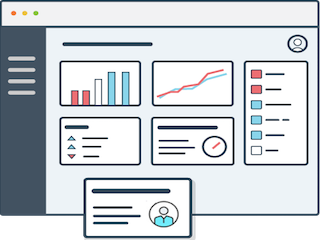 Central reporting microservice that stores and indexes data used for reporting. Leverage Grafana dashboards, ElasticSearch indexes and query support, and much more. Lightweight and flexible content management system that is designed to store UI translations, commonly used files, and content used by various user interfaces that connect to DigitalState microservices. Central logging that aggregates all logs from microservices into a indexed source. Leverage Grafana, Prometheus, and other logging capabilities used for development and production monitoring. Repository of development and deployment resources used by engineers, developers, and devops. Postman files provide mappings and examples of all microservices, Ansible playbooks, deployment instructions, etc. Primary DigitalState Symfony Component used in all PHP based microservices. Provides a range of default microservice capabilities used to rapidly build and deploy microservices that meet government standards. Primary DigitalState Angular library used in all Angular based UIs. Provides a range of default Angular capabilities used to rapidly build and deploy user interfaces that meet government standards. Set of infrastructure services that manage microservice discovery within a distributed, fault tolerant, redundant, and scaling infrastructure. Portal: Angular based user interface used for Individuals, Organizations, and any staff that require a tailored and customized interface. Typically used as the "Citizen", "Field Crew", or "Custom" interface. Admin: Angular based Administrative interface. Lots of Menus, datagrids, bulk editing, etc. All the administrative UI features that Staff need to manage the DigitalState platform. Dashboards: Grafana based dashboards enable Staff to build and manage operational views of data pull from multiple datasources including Workflow/Camunda, and the Reporting microservice. We're with you every step of the way: From an idea, to development, to production. Join our newsletter and get the latest news about DigitalState products and happenings. Copyright © 2017 · DigitalState Solutions Inc.